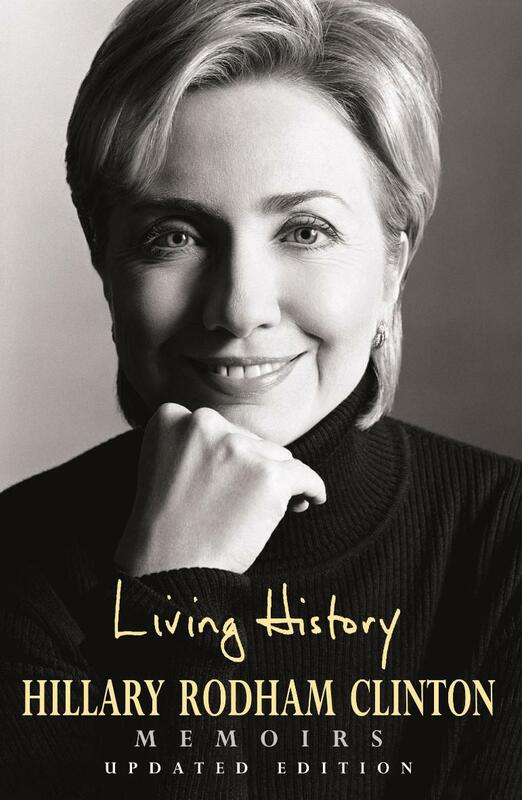 The second book in my challenge to read 12 non-fiction books in 2013 is Hillary Rodham Clinton’s Living History. This 500+ page book is the story of Clinton’s childhood, college life, early career and then her time as First Lady during her husband’s presidency. I’ve always been a bit of a Clinton fan, and I admire her for fighting for the rights of women and for smashing a couple of glass ceilings, but before reading Living History I didn’t know too much more about her. I was surprised, therefore, to read that she was a Republican in her youth, as her parents were Republicans. Reading about how Clinton came to become a Democrat was an interesting insight into the world of political thinking. Also fascinating was Clinton’s early career as a lawyer – she worked as part of a group of lawyers who had to see whether or not there was enough evidence to impeach President Nixon. This is an experience she would partially relive when her own husband was facing impeachment. Bill Clinton, unsurprisingly, is a huge part of this book. The pair, if the way Clinton presents it is to be believed, had a pretty idyllic romance. Of course, we all now know that isn’t quite true, and I would be lying if I said the Monica Lewinsky episode wasn’t the thing I wanted to read most about. Clinton’s recounting of that time in her life is a little sparse, but then again, this is her marriage she’s talking about. I was impressed by how she managed to get on with life while barely speaking to Bill, and respect her decision to choose to stay with him. We’re not treated to a play-by-play of every conversation the couple had, but it’s clear that Clinton was comfortable when she decided to not pursue other avenues – such as divorce. Clinton‘s time in the White House during her husband’s first four years was largely spent trying to pass healthcare reform. It’s something the White House failed to do, but many, many thousands of words of Living History are spent talking about it. While it was interesting, I found myself more interested in hearing about Clinton’s agenda of equal rights for women across the world, and found the book became much more compelling when this subject was brought into the fold. Other chapters are devoted to the vendetta against the Clinton White House by the Republicans, and Kenneth Starr’s neverending investigation into the couple, their business dealings and their life. I’m not sure how Clinton got out of bed some days, but carry on she did. As well as all the big things, Clinton recalls many smaller episodes, some of which, like her constant battle to have the right hairstyle or wear the right clothes and her relationship with daughter Chelsea, add a lightness to the book, others of which, like losing close friends and family, add a sadness. All add depth to a woman so often seen in 2D. There are plenty of people who don’t like Clinton, and I can see why, but Living History only made me like her more. It’s a great read, and I look forward to the inevitable sequel – perhaps after she’s spent another eight years in the White House?